This programmable module combines with a Raspberry Pi to serve as the control center of a small robot or electronics project. This programmable module combines with a Raspberry Pi to serve as the control center of a small robot or electronics project. 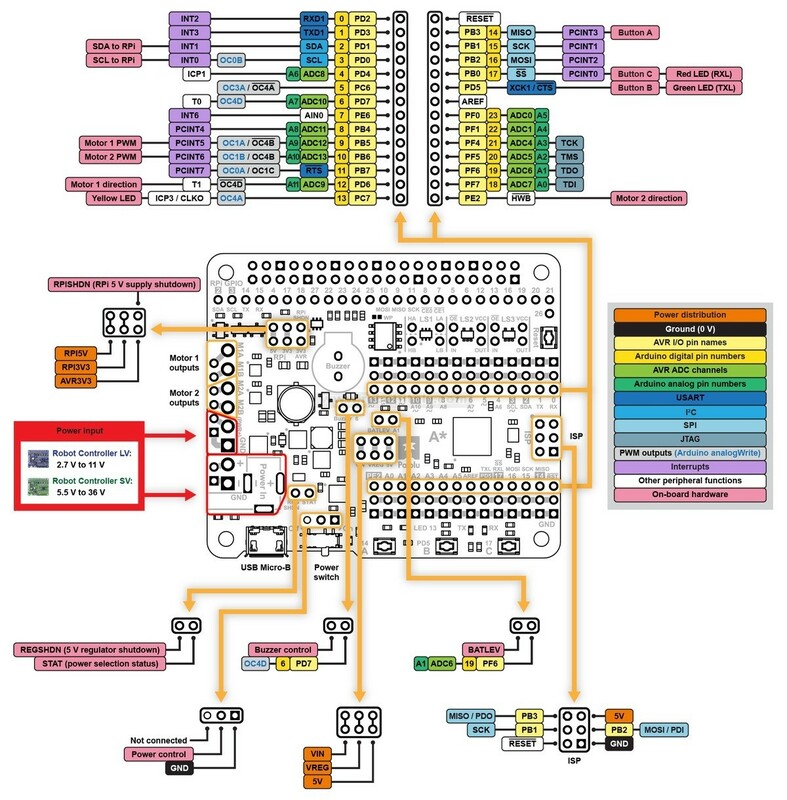 Its Atmel ATmega32U4 microcontroller comes preloaded with an Arduino-compatible bootloader, and the board includes dual motor drivers that can deliver 1.7 A per channel to two brushed DC motors. An efficient voltage regulator (5.5 V to 36 V input) and level shifters enable it to power and communicate with a Raspberry Pi. 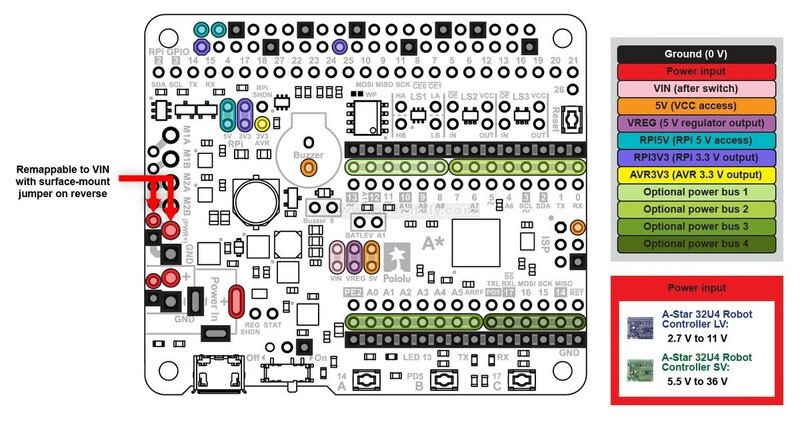 This version (item #3119) is assembled with selected through-hole connectors and components installed for use as a Raspberry Pi add-on. 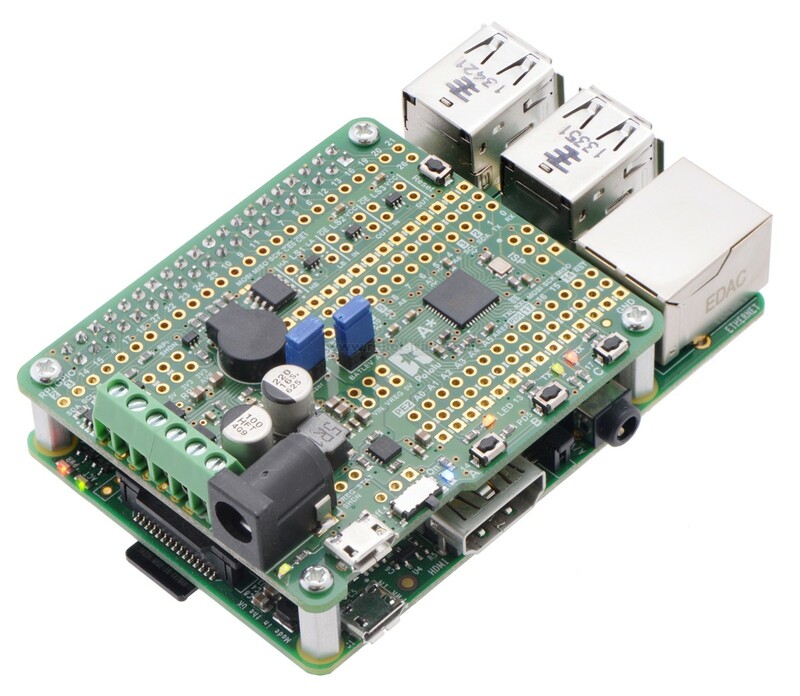 The A-Star 32U4 Robot Controller SV with Raspberry Pi Bridge is a programmable module well-suited for robotics applications, designed to work either as an auxiliary controller mounted to a Raspberry Pi or as a standalone control solution for a small robot. 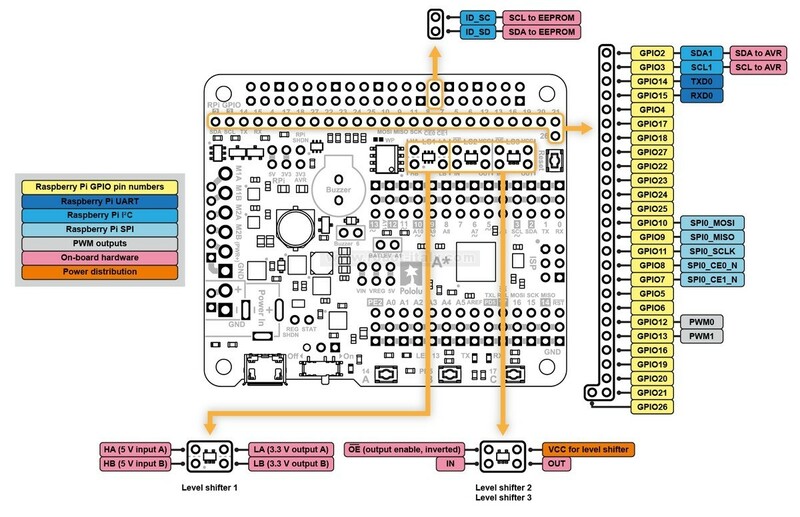 This A-Star (abbreviated A*) is based on Atmel’s ATmega32U4 AVR microcontroller, which has built-in USB functionality, and it ships with a preloaded Arduino-compatible bootloader. 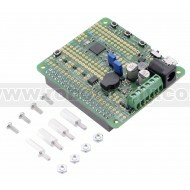 Its complement of peripheral hardware includes dual motor drivers capable of delivering a continuous 1.7 A per channel, along with pushbuttons, LEDs, and an optional buzzer for building a user interface. An efficient switching voltage regulator allows the controller to work over a wide range of input voltages (5.5 V to 36 V). 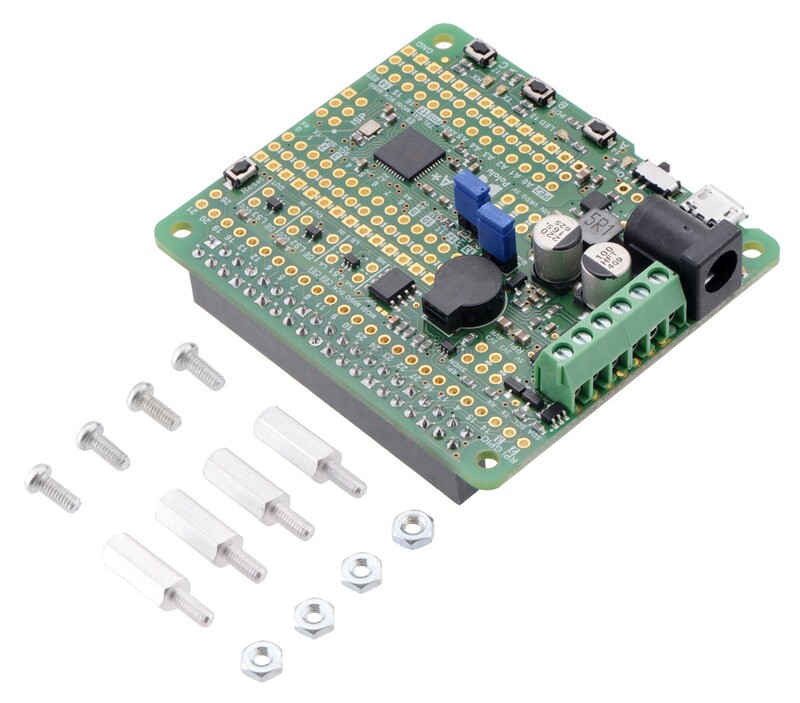 The robot controller board conforms to the Raspberry Pi HAT specification, allowing it to be used as an add-on for a Raspberry Pi with a 40-pin GPIO header (Model B+, Model A+, or Pi 2 Model B). 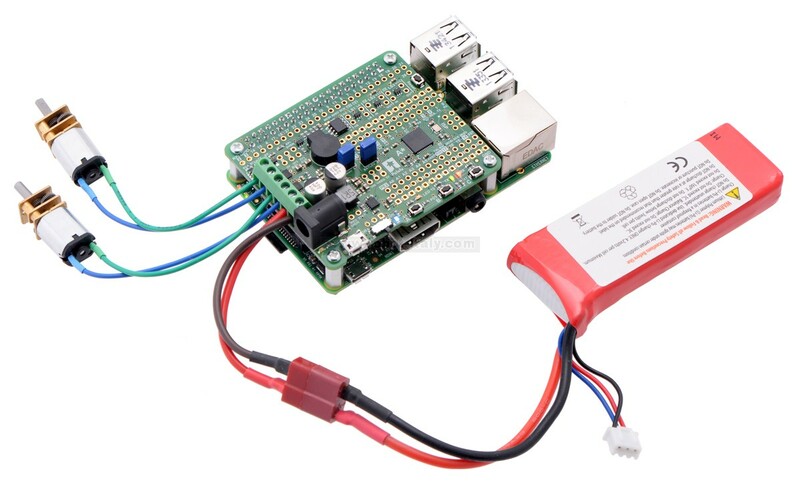 On-board level shifters make it easy to set up I²C communication and interface other signals between the two controllers, and the A-Star automatically supplies 5 V power to an attached Raspberry Pi. In this setup, the Raspberry Pi can handle the high-level robot control while relying on the A-Star for low-level tasks like reading analog sensors and controlling timing-sensitive devices (e.g. servos). We provide a library that helps establish communication between the A-Star and a Raspberry Pi, as well as a tutorial that demonstrates how to use the library and its included example code to build such a robot.